Donna Livingston has paved the way in the Interior Design field for over 30 years. With timeless, sophisticated taste, Donna’s design style is classy, inviting, and also incredibly detailed. Her ability to transform residential spaces into high-end homes by layering rich textures, colors, and fabrics has placed her on Architectural Digest’s Top 100 Designer List four times. Donna’s global approach to design is deeply influenced by her love of travel, history, and her incredible appreciation for art. Donna Livingston Design is a full service interior design firm, catering to high-end residential clientele. From the initial meeting with Donna to the completion of each client’s dream home, Donna and her team help realize every aspect of the vision they create together. She takes a hands-on approach with all her projects to assure that no detail is left behind. The team at DLD takes care of everything—from floor plan layouts, 3D conceptual renderings and finish schedules to lavish draperies, lighting, hardware, and the selection of fine dining crystal, furniture, and home accessories. Donna’s true expertise lies in understanding the unique vision of each and every client, while carefully listening to their exact desires by working closely with them throughout the process. She intimately understands her clients and expresses their personalities through the design of their homes. Donna Livingston’s immaculate taste and understanding of her client’s needs has propelled her to become one of the most sought-after designers in the country. 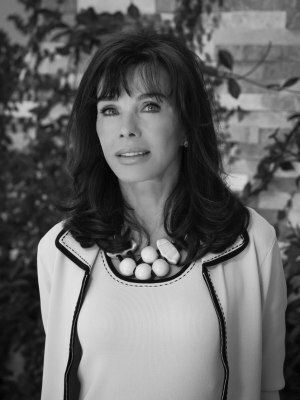 Whether it’s designing breathtaking residential projects in New York City, Palm Desert, Aspen, or Beverly Hills, Donna oversees every step of the design process very closely, from construction through completion, to ensure a seamless process throughout.